Early Wednesday morning, a well-known Baton Rouge rapper was arrested for beating and trying to strangle his girlfriend in a hotel here in town. 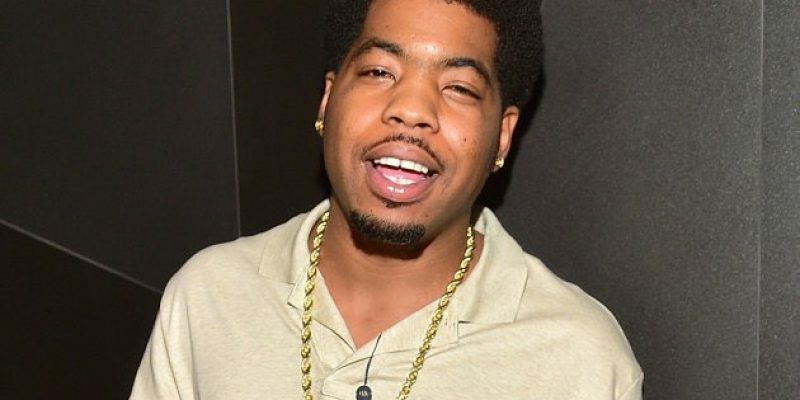 Police got word of the incident at the Comfort Inn on Constitution Ave. where Webster Gradney, Jr., the rapper also known as “Webbie,” would be arrested and charged with second-degree battery, aggravated battery with a dangerous weapon, false imprisonment, theft, simple criminal damage to property and domestic abuse by strangulation. His victim walked away from the debacle with a fractured nose and marks down her thighs and back where he hit her with a belt. Sgt. L’Jean “Gino” McKneely, a spokesman for the BRPD, said that both Gradney and his victim ended up in the hospital, but that Gradney was not seriously injured, reported by The Advocate. Gradney’s victim further claimed that he hadn’t slept for two days, as he’d been consuming marijuana and cocaine. And according to the arrest warrant, he’d damaged the hotel room, as well. The victim told police Gradney beat her in the head, neck, arms, legs and back, alternately with a closed and open fist, as well as a belt. At one point, he pinned her to the ground with his knees in her throat until she couldn’t breathe for several seconds, according to the warrant. Her fractured nose left her coughing and spitting up blood, the report says. Webbie is known nation-wide. His rap career took off in the mid-2000s with his first hit album. He has worked in collaboration with Torence Hatch, otherwise known as “Lil Boosie,” who served two years of an eight-year sentence in the Louisiana State Penitentiary on drug charges. Boosie’s record goes even farther than that, though. In 2011, he was caught trying to smuggle codeine syrup into Angola, and in 2009 he was accused of killing Terry Boyd, for which he was later acquitted. If ever there was an argument to be made for rap music being cultural poison and promoting criminality, that argument is supplemented by most rappers here in Baton Rouge. Several years back, we saw videos surface left and right portraying the lifestyle sought after by several rappers and rap groups around the city filled with guns and offensive language. And only a year ago we saw a similar video, only this time the group was threatening to murder then-presidential-hopeful Donald Trump if he were to cut funding for food stamps. These men were actually arrested, however, not only for making the totally uncalled-for threats but for possession of stolen weapons. The music may be catchy and fun to listen to at times, but the example they’re setting and the message they’re sending are not very positive ones.